Hi. 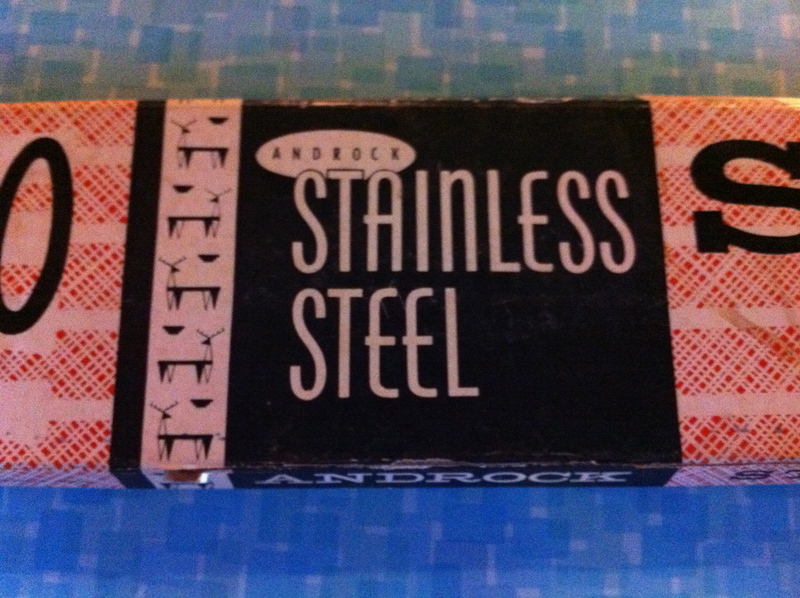 My name is Don, and I’m an aholic. Feel free to add whatever prefix fits the moment. Some days its food, other days its shopping. I’m also an excellent multi-tasker. I’ve been known to eat and drink while shopping and watching TV. 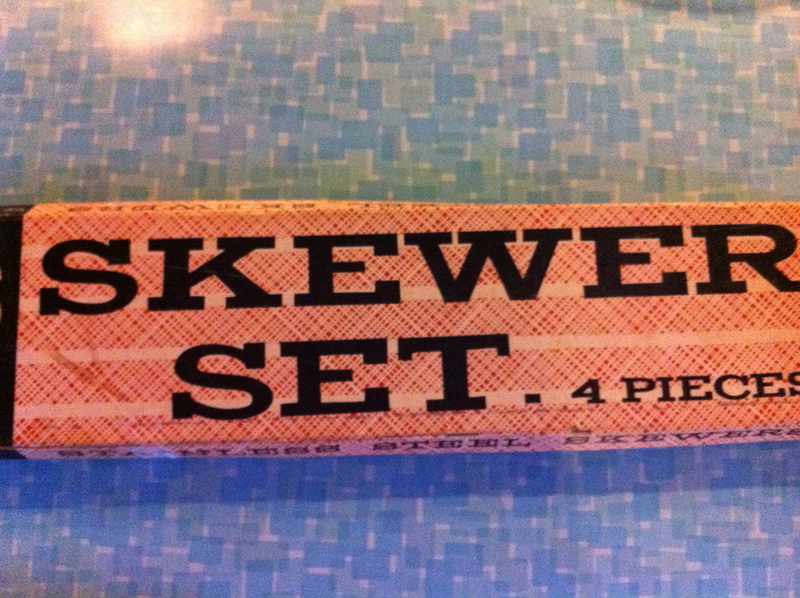 Given some of my latest estate sale finds, its time to add kitsch into the prefix mix. Just scroll down and you’ll understand why. 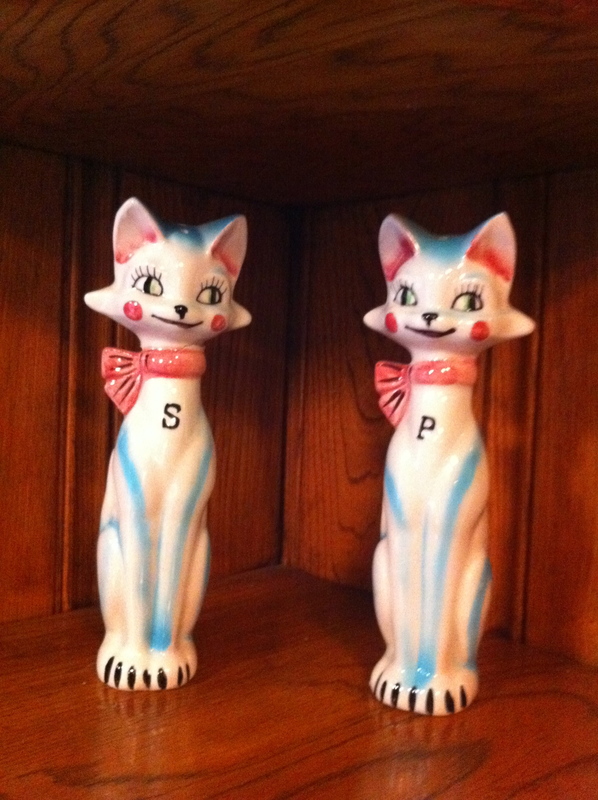 Possessed salt and pepper kitties. All thats missing is Johnny Depp and Helena Bonham Carter. 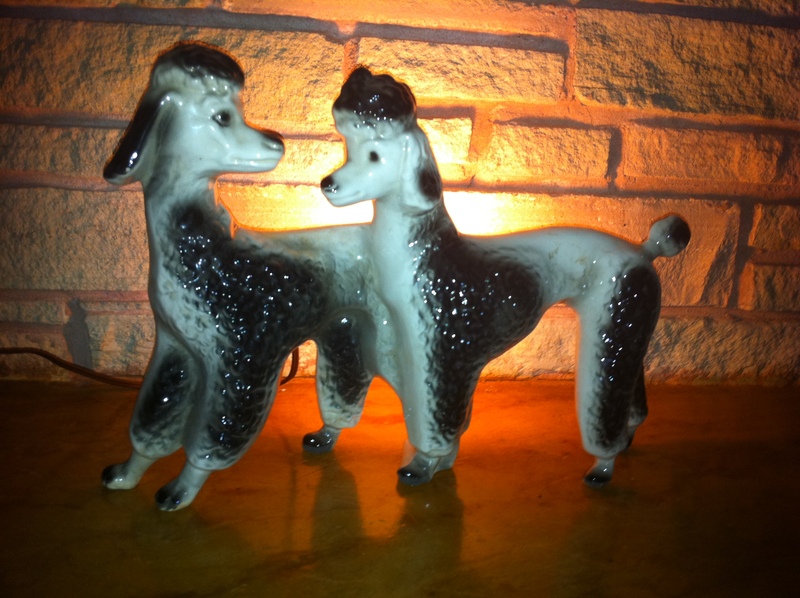 Officially a TV lamp, I like to call them Mimi and Fifi the siamese poodle lamp. 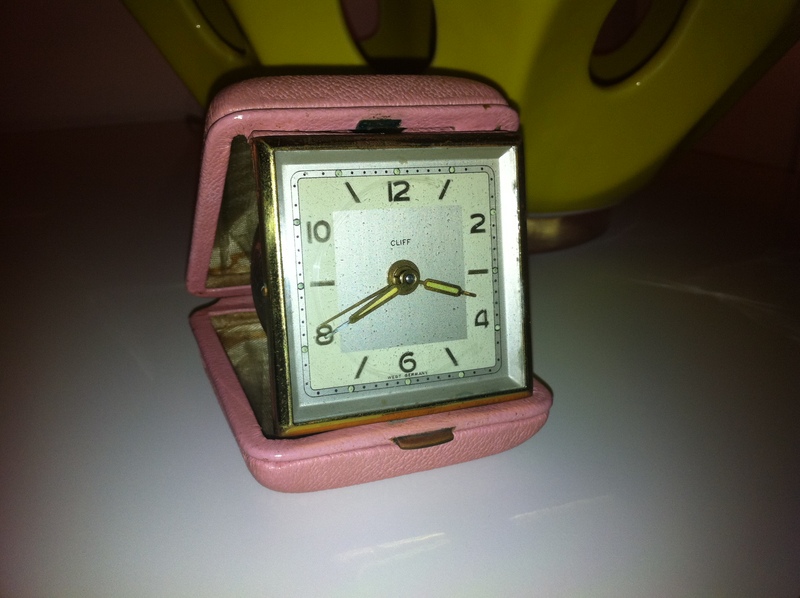 Here we have a pink travel clock. I don’t understand the allure and I’ve got nothing witty to say. Its still works, so credit needs to be given for that. Following in our pink theme, we have a Hull pottery ashtray/planter thingie. Since I quit smoking and tend to kill plants, I think it will make a fun, standing chip and dip set. Its sitting next to my record listening chair. Vinyl sounds better when you’re sitting in a vintage chair. Just take my word for it. Yes, it feels nubby. 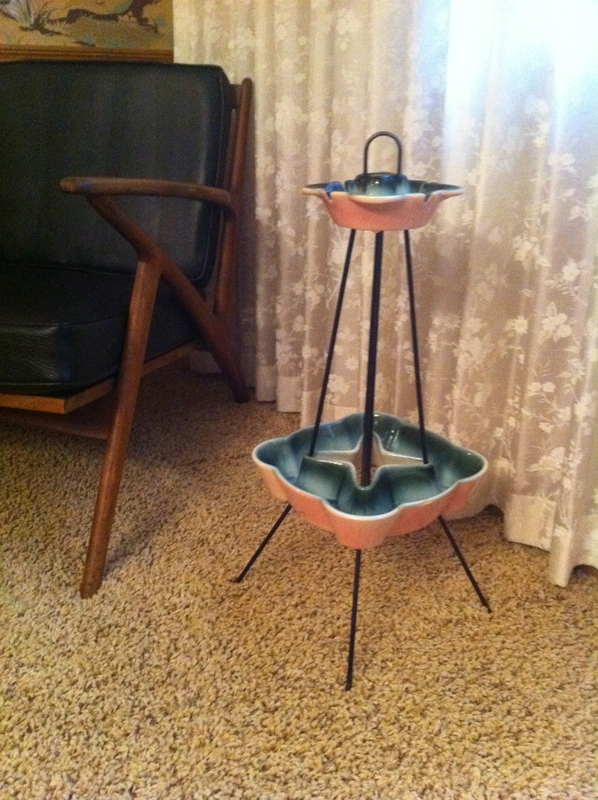 It’s a Shawnee Kenwood pottery candle holder/planter set. What is it with everything being called a planter? I think I’ll put mixed nuts in this one. 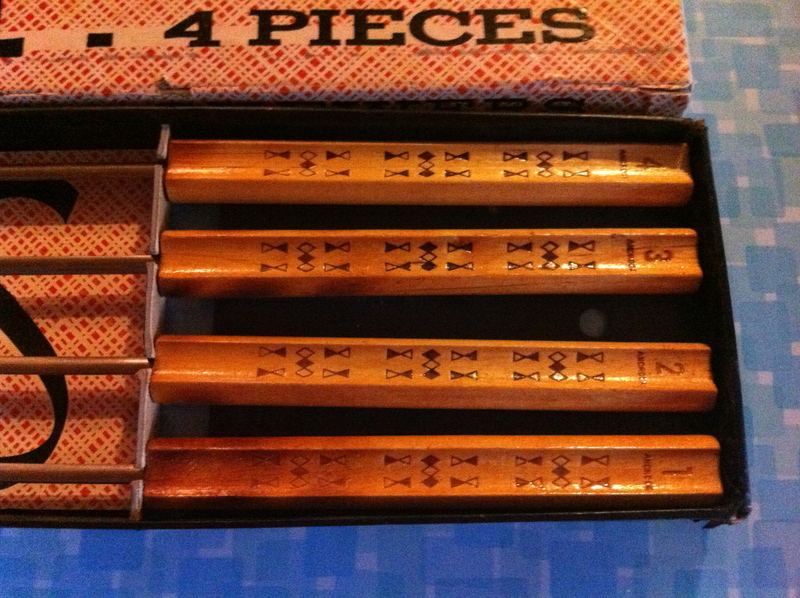 Yes, it took 3 pictures to capture the entire box. 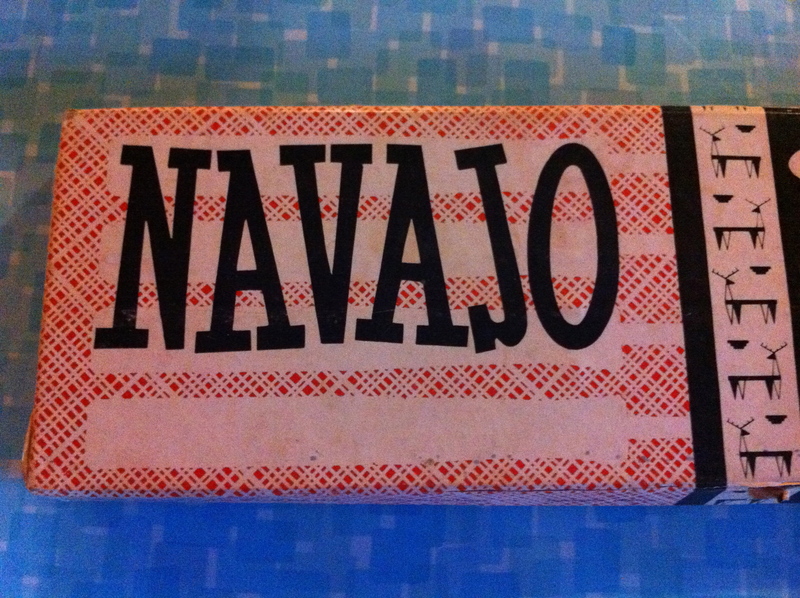 I’m not sure what the Navajo’s skewered with these things but at 2.5 feet long, I’m not about to get in their way. I think these bad boys were outlawed with Jarts. Don I absolutely love the cat shakers. I’m hoping to find something like that one day. It’s a great mold of my love for mod and cats! Thanks for posting. I just found this blog and I’m so excited to follow it!